My baby blue cami is from Topshop last summer. It's a lovely flattering fit and the colour is perfect to style with both monochromatic and more colourful outfits. 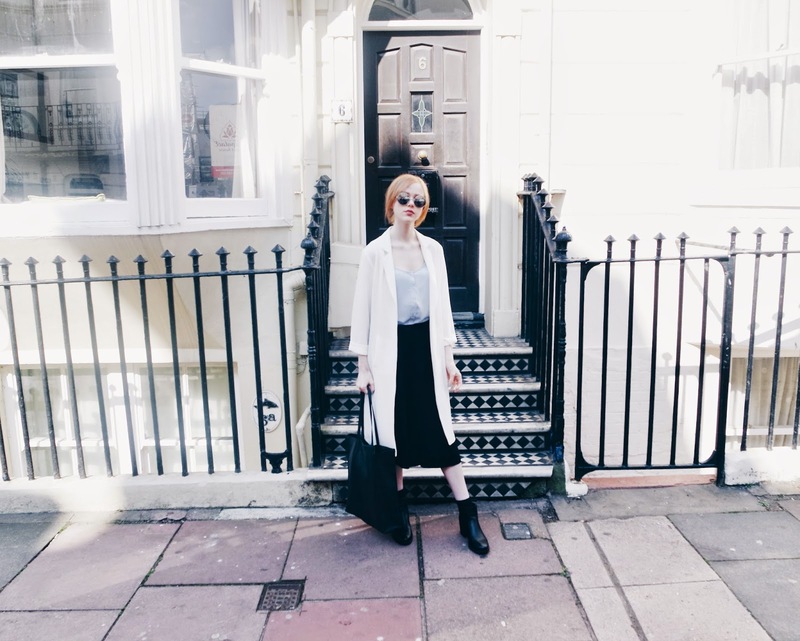 My culottes were a bargain at £3, from Primark. 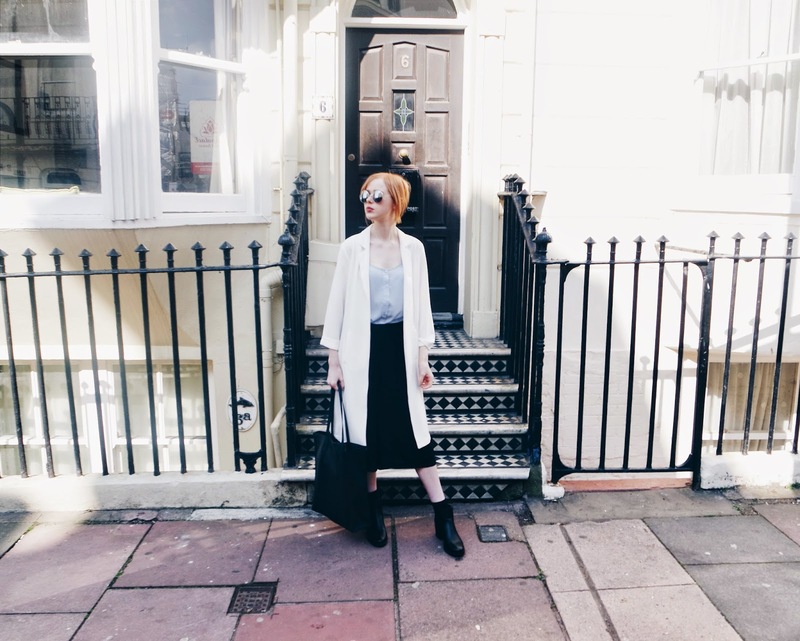 They are the comfiest trousers I own and are great for the warmer months. 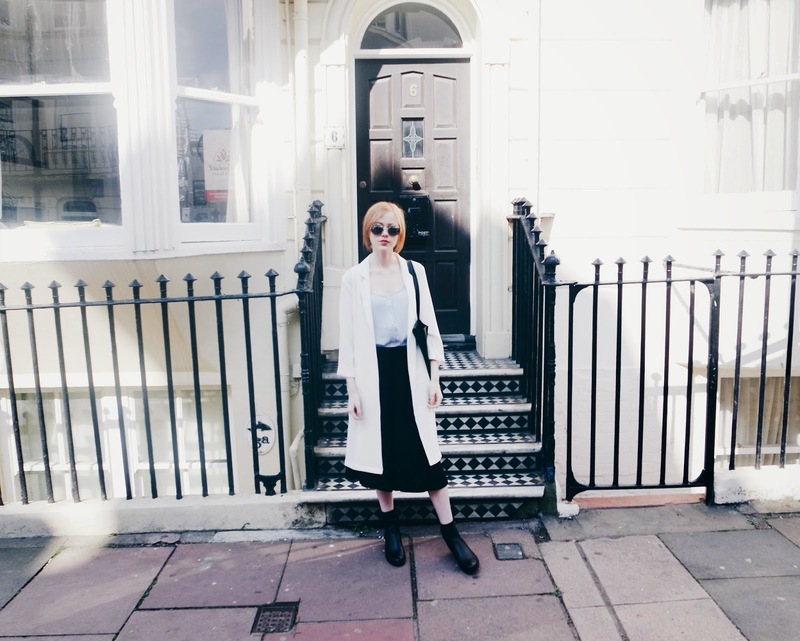 My Coat is also from Primark and as are my sunglasses. 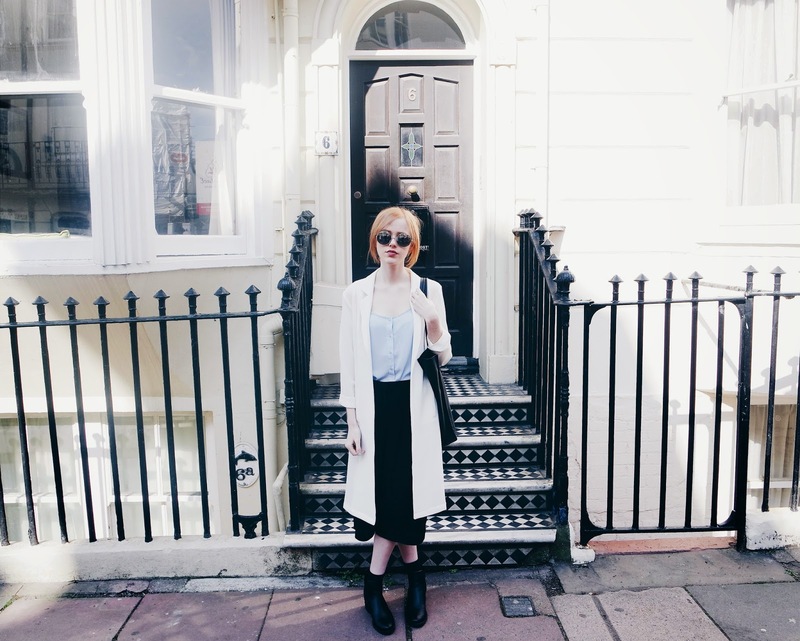 The coat is a long white duster - only £19.99 and my sunglasses were £1! My boots are the usual suspects from New Look, adding a classy feel to the look and my bag is from ASOS. 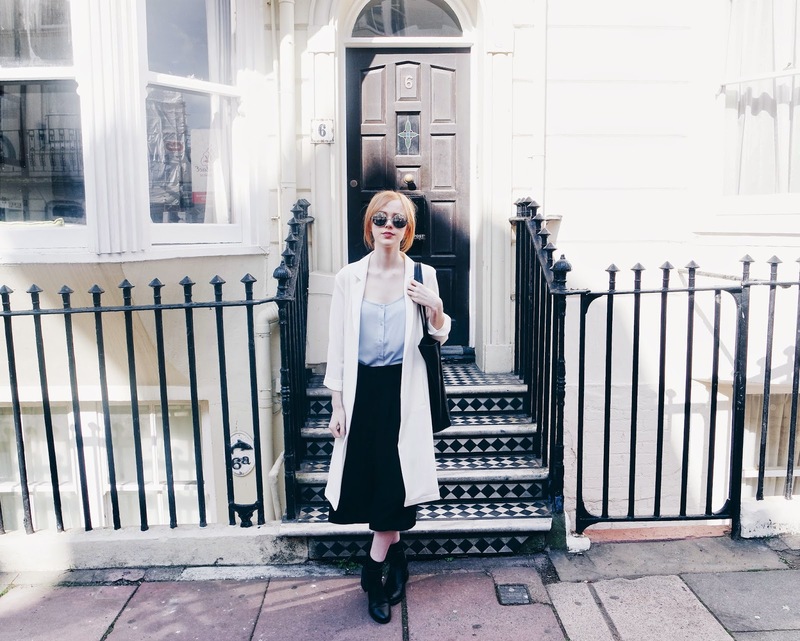 What would you be wearing on a sunny day out? £3? That's such a steal. And for such a great look too! You look glorious Holly, so high fash as well I was expecting much heftier price tags! Love.